DAGUPAN CITY – The Peryahan Games of the Philippine Charity Sweeptakes Office is trying to conquer bet-rich Pangasinan through its jueteng-like numbers game, but wary police authorities conducted raids on the Peryahan’s draw center in Laoac town. PCSO’s Peryahan Games’ betting kiosk in Binmaley, Pangasinan. Games – are Malasiqui, San Jacinto, Mapandan, Laoac, and others. Edward Aguilar, spokesperson of Global Tech Mobile Online Corporation which is the franchisee of Peryahan Games, said the draw center had been raided three times since it opened on December 20 last year. Two days after the draw center opened, the police raided the center and brought six personnel, known as sales agents, to the local police station. But the personnel were released right after questioning, Aguilar said. The following day, a team from the regional and provincial police, the National Bureau of Investigation and the Criminal Investigation and Detection Group, again raided the center, bringing the same personnel to different police stations and NBI Manila. The personnel were also immediately set free, Aguilar said. The third raid was conducted only by the NBI on January 14, with the agency bringing nine Global Tech sales agents and three other bet collectors to NBI Manila. “But yesterday (January 21), they were released, with a resolution from the Department of Justice showing they were not engaged in illegal numbers game jueteng,” he said. The nine sales agents bore PCSO Ids, gadgets used to print bets, and certification from Global Tech. The other three bet collectors who are not connected with Global Tech are still held at the NBI headquarters, he said. Provincial Police Director Sr. Supt. Reynaldo Biay said the police would continue to monitor the Peryahan’s activities to ensure it won’t be used as front for illegal activities. The Peryahan Games, a numbers game resembling jueteng, is on a test run in Pangasinan, the 13th province where the games was launched. Like jueteng, bettors select two numbers from 1-38, with bet collectors (called sales agents) going around to collect bets. The sales agents do not received salaries, but get 7.5 percent from their collections. Like jueteng, too, winning numbers are drawn thrice daily, at 11 am, four pm and nine pm. A difference however, is Peryahan collectors bring gadgets called “Point of Sale” on which bets are entered and printed. The bets are brought to kiosks where the cashier accepts bet money and pays winnings. Each province will have winning numbers which are drawn at the draw center, Aguilar said. But unlike jueteng where the proceeds go is unknown, Peryahan allots 30 percent to charity, of which five percent goes to the treasury of municipal government and two percent to the provincial govenrment, Aguilar explained. The PCSO likewise need not seek permits from the local governments which Peryahan will be operated, but will have to pay fees to the establishment of kiosks and other permits. VILLASIS- On separate events during this town’s fiesta celebration, Fifth District Rep. Kimi S. Cojuangco and former Rep. Mark O. Cojuangco lauded the ” balikbayans”- both overseas Filipino workers (OFWs) and residents of various countries, for their contributions to the economy of the country through their remittances. Kimi, who was the guest speaker during the Barangay Night last January 14, said that the “balikbayans” keep the country’s economy afloat. “I filed a bill in the House of Representatives known as E-currency in which your remittances through private remittance centers will be free. This means that you will no longer be charged for percentage remittance fee such as 3% or 6%. This is one of the many bills I filed in the Congress,” Kimi said. She also informed the barangay officials and guests about the Medikalinga Sa Pangasinan Program of her husband Mark which provides free surgical services to the Pangasinenes, the scholarship program she coordinated with the Commission on Higher Education (Ched) and the skills development program through the Technical Education and Skills Development Authority (TESDA). Mark, the guest speaker during the Coronation and Balikbayan Night last January 17, said because of the support of the “balikbayans,” the economy improves. ” They said that you are the unsung heroes but I will say that you are the heroes of our economy,” Mark said. He told the audience of his aspirations to run as an alternative candidate for governor of Pangasinan in 2016 elections. “I know I have done something that you will be proud of being your former representative in the House of Representatives. With my experiences in the 5th District, I know I can replicate this in the entire province if given the chance to be the governor,” he said. He said with the trust, help and continued support of Villasinians and the people of 5th District, he was successful in his activities to pursue development projects in the 5th District. Mark also introduced Calasio Mayor Mark Roy Macanlalay as his running mate as vice governor whom he described as an able candidate due to his experience as local executive of Calasiao. “I am grateful to him for accepting the challenge as my running mate although he has still one term to run as mayor of Calasiao. I will be needing his expertise should I will win as governor because a vice governor will head the Sangguniang Panlalawigan (Provincial Board). A governor could only be effective with the support of the Sangguninag Panlalawigan,” he said. Mark assisted Mrs. Villasis 2014 Florida Riñon in crowning Mrs. Villasis 2015 Letty Casio- Wabe. Other members of the royal family are: First Princess- Beverly Osias-Orial and Second Princess Leny Bolario-Sembran. There are friends with whom we could not rub elbows for years because they have already migrated to other countries as residents or workers. These friends whom we haven’t seen for several years only go back to their places of birth during Christmas seasons , town fiestas or other occasions needing their presence. Balikbayan refers to overseas Filipinos, including overseas Filipino workers and the emigrants who come back home to the Philippines after staying in foreign countries. Thank God for the Villasis Town Fiesta 2015 that institutionalized a day for the festival a ” Coronation and Balikbayan Night”. That was a night’s affair for all “balikbayans” to convene and converge and to meet their old friends and acquaintances to exchange pleasantries and stories. Last January 17 during the Coronation and Balikbayan Night, I was able to meet old friends whom I have not seen for almost three decades. It was a nostalgic night because upon seeing them, the old flames of friendships lighted anew. The night was also full of revelry as we recalled the days when we were still younger. Though Facebook is already a vogue these days, there are still those who have not used the social network to correspond with old friends. The mystery and the excitement of seeing them again penetrated the soul as if there’s a new brand of friendship that was rekindled. There are still many friends in different countries whom we have not seen. There are friends whom we want to see because of the shared bonding many years back, but they have no time to come home. They will , however, remain as friends as time passes by because of their impact in our lives, in good times and bad times. To those old friends I have seen and met during that wonderful evening of “Balikbayan Night”, thank you for your presence. The friendship was once again rebuilt and I hope it will be like that forever. I would like to greet my balikbayan friends who made their time to be with the Villasis Town Fiesta 2015. Thank you Emmanuel Rabut of Caramutan village, who is a seaman and now residing in Bulacan, Nilo Jimenez of Bacag village who is already residing in Italy, Abraham “Abe ” Lopez of San Blas Village who is now a resident of New York, USA, Thess Bebot Marcos of Zone I who is now a resident of London, United Kingdom and Tess Perez Evangelista of Capulaan village who is now a resident of California, USA. My greetings also go to my barangay mates Delia Basconcillo Obedoza of New York, USA, Luzviminda Mondala of Canada and Nida Mira Millano of London, United Kingdom. Thanks a lot for the great time we shared during the Barangay Night last January 14. That night was also an event of meeting new friends in the like of Manong Frank Tomines of Barraca village who is based in Canada and Manny Manantan of Zone II now a resident of New York, USA. Friendship is a thing we could not do away with. Our friends will brighten up our days especially when we are reminiscing the past- of yesterdays bonding and sharing the spirit of camaraderie. Amid the gaiety of the Coronation and Balikbayan Night, a friend approached me and shared his observations in Villasis, particularly the tricycle operations whom he said was not providing good service to commuters. This friend said many tricycle drivers are not following the laws, such as driving without license and not proper attired while conveying passengers. They seemed to have gotten off from farm work, he said. He suggested the crafting of an ordinance to discipline the tricycle drivers because they pose hazards to the commuting public. Through this column I would like to get the attention of Councilor Richie Cacapit, chair of committee on transportation and public utilities, to look into this observation. Personally, I agree with my friend. There were times that tricycle drivers will not convey passengers especially when there are checkpoints of the Land Transportation Office (LTO). The reason is either the drivers have no drivers’ license or the tricycles have not been registered and have no municipal permits to operate. DAGUPAN CITY – The suspected hired killers who recently had an armed encounter in Barangay Lucao with the police used to be body guards of slain controversial big time Indian-Filipino money lender Rajah Mirchandani, police said. According to Superintendent Christopher Abrahano, city chief of police, the groups of Eduard Velasco Diaz and Rudy Padilla Jr. used to be the body guards and gofer of Michandani who was ambushed in Barangay Bolosan in August last year. The spot reports of the Philippine National Police said Diaz died in an armed encounter with the police. But before the killing of Diaz, his group had a fire fight on January 20 with the group of Rudy Padilla Sr., 68, Rudy Padilla Jr., 33, and Reynante V. Soriano, 37, at a fishpond in Sitio Tocok, Barangay Lucao when the Padillas and Soriano were harvesting their bangus fingerlings. One of the Padillas, according to the report, exchanged fire with them by using his licensed 9 mm pistol. Recovered on the crime site were 24 spent shells for caliber 5.56 and three live bullets for the same gun, three spent shells for caliber 9mm, and one spent shell for caliber .45. As the Diaz group members were running, they were seen by pursuing policemen assigned at the nearby Centrum Gasoline Station in the same barangay. Although the two escaped after they crisscrossed the houses there, Arthur Ablao was found hiding and lying in a bathroom by covering himself with blanket. During police interrogation, Ablao incriminated Edward Diaz, Ricky Diaz Velasco, Jimmy Arellano Anona and a John Doe – the driver of a tricycle – as part of the conspiracy to murder the Padillas. Confiscated from Ablao were an M-16 Armalite rifle and .45 caliber hand gun with bullets inside. When this city’s police led by Abrahano, the provincial intelligence office led by Supt. Rod Castro,and those from the provincial police office located the hideout of Diaz group in Sitio Abalosky in the same village they found Diaz, Velasco, and Anona just finished sniffing shabu (illegal drugs) as evidenced by the drugs’ paraphernalia and were imbibing liqueur. Upon sensing the income lawmen Diaz, the report said, fired at them. “One of the suspects Eduard Diaz was able to see them and immediately fired his firearm towards them prompting the police officers to retaliate that later resulted to his neutralization,” report said. Lumabas po ang genuine concern ni Cong Mark Cojuangco para sa tao sa isyu ng TPLEx nang siya ay ma- interview ni Anthony Taberna at Gerry Baja sa DZMM Teleradyo kamakailan lang. Opo, ang nagbabangaang interst sa isyu ng pagbabago ng direction ng TPLEx ay interest ng PIDC (isang construction corporation ng San Miguel Corporation) laban sa interest ng mga taga-Pangasinan. Makakaasa po pala ang mga taga-Pangasinan na kakampi si Cong Mark Cojuangco kahit na ang kalaban ay San Miguel Corporation! Wala daw pong additional na one bilyon pesos na madadagdag sa project. Mababawasan ang traffic papuntang norte. Hindi mapeperhuwisyo ang mga taga-Sison at Pozorrubio. Mas magagamit ang Marcos Highway papuntang Baguio. Noong 2009, last term ni Cong Mark Cojuangco, nagbigay siya ng alternative na route nang TPLEx sa DPWH. Ang sagot gn DPWH ay hindi ganoon kadali baguhin ang ruta ng TPLEx kasi kailangan daw po ng NEDA approval. Bakit po ba ipinaglalaban ni Cong Mark ang bagong ruta? Nakita po ng mga taga-Sison yung disenyo ng TPLEx na sasagasaan ang mga maliliit nilang sakahan at mismong sa sentro ng bayan ng Sison ito dadaan. Dumulog sila kay Cong Mark para makapag-usap sa kinauukulan. Kaya naman pinag-aralan ni Cong Mark at ng mga taga-Sison kung saan padadaanin ng TPLEx. Ang gusto pong sabihin ni Cong Mark ay responsibilidad ng DPWH na gumawa ng due diligence sa costing na submitted by PIDC. Nanghihinayang si Cong Mark dahil matagal na ang proposal ng mga taga-Sison noong 2009 pa at ngayon ay 2015 na. Dagdag ni Conga Mark na, “Gumawa po ako ng sarili kong pag-aaral. At dito po sa sarili kong pag-aaral, hindi po haul-in na tambak. So, at saka iyong tulay po na kailangan ay almost kalahati po ang haba kaysa doon sa gusto nilang lugar. Doon pa lang po sa dalawang item iyon ay dapat na pumareho lang ang halaga ng proposed route po namin. Eh. At saka meron pang savings na limang kilometro kung itutuloy po iyong phaae 3 na papuntang san Fernando, La Union. So, iyan po ang isyu na… 2009 pa po ito. Boss Sendo, mukhang namamahalan po si Cong Mark sa estimate ng PIDC para sa bagong ruta kasi cut and fill lang ang mangyayari sa construction ng highway. Kung gagamitin daw ang presyo ng DPWH ay pareho lang dapat ang magiging presyo ng project. Oo, kasi papatagin niyo sa ibabaw, eh hindi ka na magku-quarry sa ilog at dadalhin mo pa doon. Tama si Cong Mark na bawasan ang traffic sa Kennon Road papuntang , konting ulan lang ay isinasara na agad ang Kennon dahil sa peligro ng falling rocks at landslide. Kailangan maximized ang gamit ng Marcos Highway papuntang Baguio dahil mas all-weather road ito at mas malawak. WALANG PUBLIC CONSULTATION. Tumitindig ang mga taga-Sison sa isyung ito dahil sa kawalan ng consultation. HINDI PAPAYAG ANG TAO. Idinadaan po ng mga taga-Sison sa mahinahon na para ang lahat. Meron na po, dahil hindi po talaga papayag ang mga taga-rito na masagasaan ang munting lupain na natitira. Alam niyo po iyong mga land holdings dito… half hectare, one hectare, eh saan pa pupunta ang maga taong ito? Kung dumaan iyong disenyo sa tamang proseso, wala tayong pinag-uusapan. PANGASINAN, UNA SA LAHAT. Walang pakialam si Cong Mark sa PIDC/ San Miguel Corporation kung kapakanan ng tao ang isyu. Boss Sendo nakikita ba ni Cong Mark, maasyado po bang mataas ng pricing ng PIDC? Dapat talagang gawan ng due diligence ng DPWH ang pricing para sa proposed route. AYAW ISTORBOHIN SI PNOY. Tunying:meron po na ba kayong representasyon sa Presidente? Baka kailangan nang makialam po dito ang nasa Malakanyang? DAGUPAN CITY – This city has been conferred with the 2014 Seal of Child-Friendly Local Governance by the Council for the Welfare of Children (CWC) for its commitment in promoting child rights to survival, development, protection and participation, towards a Child-Friendly Philippines: A Caring and Protective Society For, By, and With the Children. Signed by Corazon Juliano-Soliman, CWC chairperson and Secretary of the Department of Social Welfare and Development (DSWD); and Secretary Mar A. Roxas of the Department of the Interior and Local Government (DILG), the city received the seal on January 19. “With or without an award, I am happy that our efforts have earned the attention of the council in protecting the rights of our children in the city especially with our anti-bullying campaign and our health and education program for the children as well,” Fernandez said. Fernandez disclosed that this year the city will have its own Bahay Pag-Asa which will serve all Children in Crisis (CIC) and a Women Center for mothers. DAGUPAN CITY – This city’s consultant on Climate Change said he will be inviting gubernatorial aspirant Mark O Cojuangco to discuss how to help solve the perennial flood problem and the threat of tsunami to the city through the Lidar Radar. Environmentalist Nick Melecio, speaking over dwPR , said Cojuangco was an indispensable source because of his knowledge on the roles played by technology and innovation on how to counter natural calamities that could hit this city and the province of Pangasinan. Cojuangco earlier told Northern Watch that one of the solutions to arrest the scourge of flood in the big province is by using Lidar Radar. 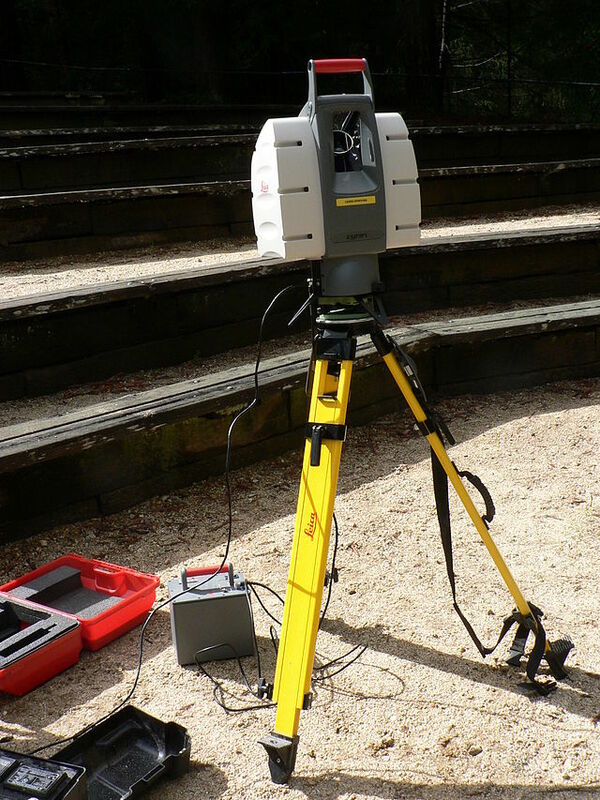 According to the U.S National Oceanic Atmospheric Administration , LIDAR, which stands for Light Detection and Ranging, is a remote sensing method that uses light in the form of a pulsed laser to measure ranges (variable distances) to the Earth. These light pulses—combined with other data recorded by the airborne system— generate precise, three-dimensional information about the shape of the Earth and its surface characteristics. Cojungco said aside from Lidar, the other technique to help solve the massive flooding in Central Pangasinan is through dredging, resettlement of illegal settlers on the river banks, and expansion of waterways. Bigger water ways, he said, means large volume of water can be accommodated. The former congressman of Pangasinan said these expanded water ways could arrest flooding in areas near the rivers. He also said stilling or excavating a wide land area to catch large volume of water would help control flooding. Although stilling technique is new in the Philippines, it has been done in other countries like Mainland China, he said.